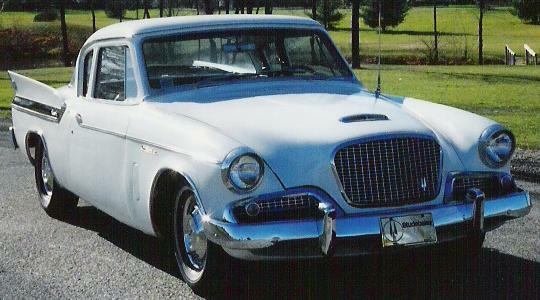 This great looking 1961 Hawk Coupe belongs to Ted Harrington of Wyoming, Michigan. Ted bought the car in 1994, at which time it had only 13,000 miles on the odometer. It was orginally purchased in the Saint Louis area for $3,063.90. Ted is the fourth owner. This unrestored car now has 17,000 original miles. It is equipped with the 289 V8 with three-speed manual transmission with overdrive. 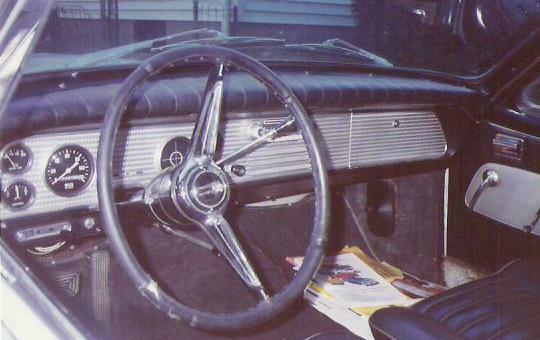 Bucket seats were standard equipment on 1961 Hawks, and a four-speed manual transmssion was available as an extra cost option. This was the last year for the finned Hawk and only 3,929 produced of which 266 were 6 cylinder cars for export. Ted relates that the first owner of his Hawk lost the car in a poker game. The person who won the car never drove it, but parked it out in front of his house because the person who lost it had to drive by each day on his way to work. What a great story! This is surely one of the lowest original mileage unrestored finned Hawks in existence. 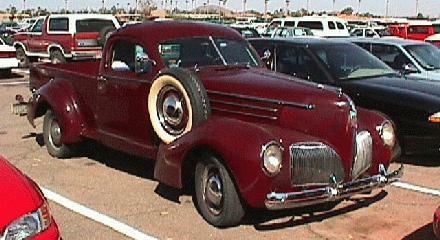 This month's Bill Junge photo is a super cool 1939 Studebaker Coupe Express. What a fine example of a very rare pre-war Stude! This is the first year that the Coupe Express had the headlights integrated into the front fenders. Black was the standard color for the Coupe Express, with other colors being optional. This is certainly one to die for! Studebaker brochures sometimes used photographs, sometimes used art, and sometimes used both. The 1961 full line brochure relied heavily on photography. This brochure concentrated on the Lark line but also included the above picture of a Hawk. 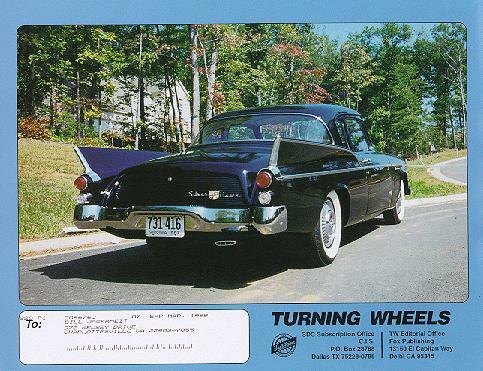 For some reason, the people in the background in all of the car pictures in this brochure are "blurred." I suppose this was done for artistic purposes. 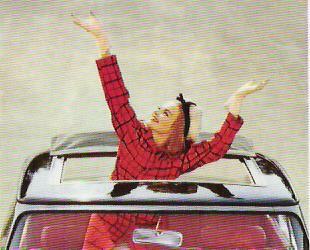 The "Newsmaking Skytop Sunroof" was a new option for 1961 Lark sedans and hardtops. Unfortunately, the Skytop was not available on the Hawk. This was also the first year gfor the 112 horsepower overhead valve "Skybolt Six" which powered the Lark VI and the export Hawks mentioned above. This HO scale 1962 Gran Turismo Hawk was made by EKO of Spain. It was available in several colors, including blue, green, red, white, and yellow. 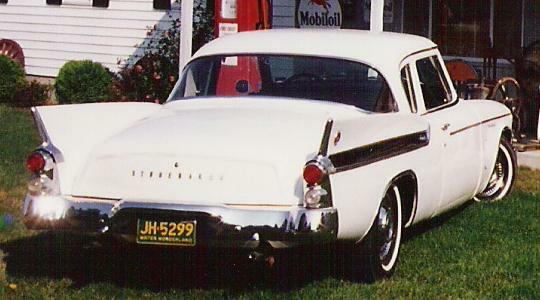 The base says "Studebaker El Hawk." EKO also made a very nice HO scale Avanti. These were intended for use with HO train layouts, not as children's toys. The example above recently came across the Ebay internet auction site. To see more toy Studes, visit my Studebaker Toys Home Page.